Grab Your Stonedeaf Festival 2019 Tickets Right Here ! This is what happens when you put a few old rockers on social media. Several veterans of the castle have got together to bring back those halcyon days with the atmosphere and experience of those legendary Monsters of Rock shows. 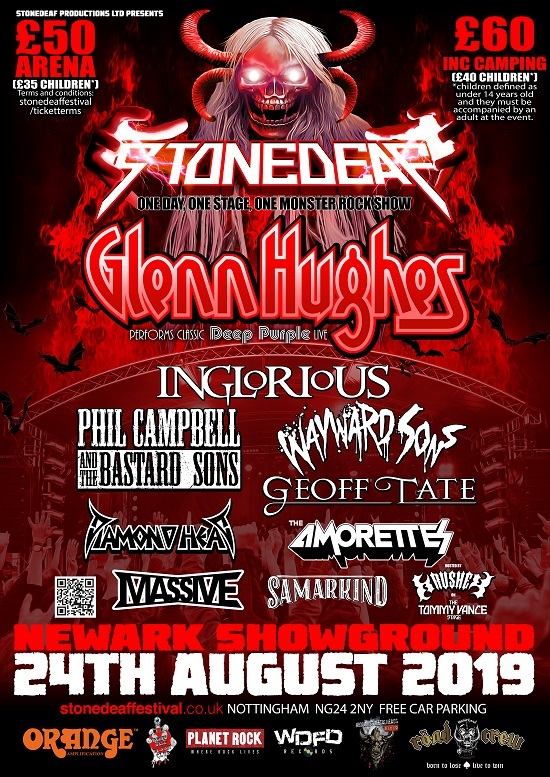 On the 24th of August 2019 STONEDEAF FESTIVAL returns to Newark Showground! We thank you for your support and look forward to you joining us in a field in August at Stonedeaf 2019!